For those who love to be unique, the Guinness beanie is a must. Popular with today’s younger crowd, knit visor hats have a stylish and interesting style. This Guinness cap is brown with cream accents. 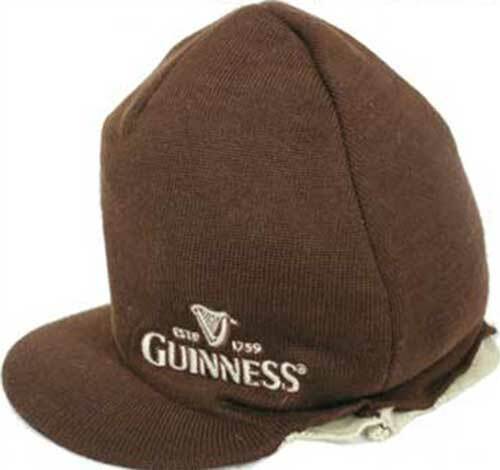 This Guinness beanie features a brim so it is a cross between a ski hat and a baseball cap. The Guinness knit cap is one size fits most and is made of 55% cotton and 45% acrylic material.